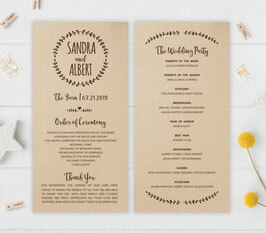 Complete your joyous wedding celebration with one of our Rustic Wedding Programs. 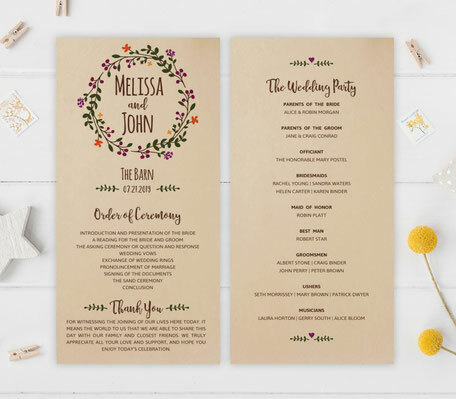 Perfect for a country style wedding, our program cards feature the details of the wedding, a thank you section and the names of everyone in the wedding party. 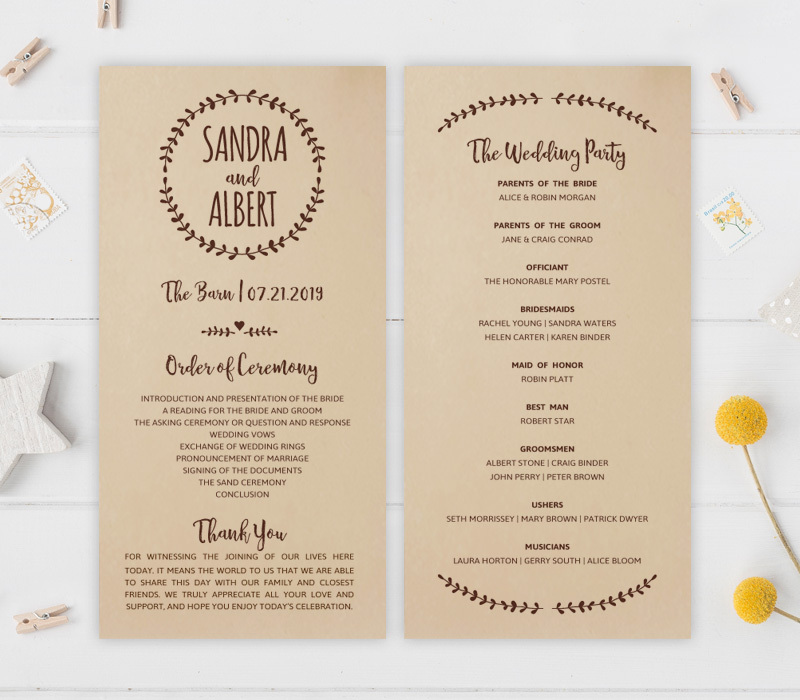 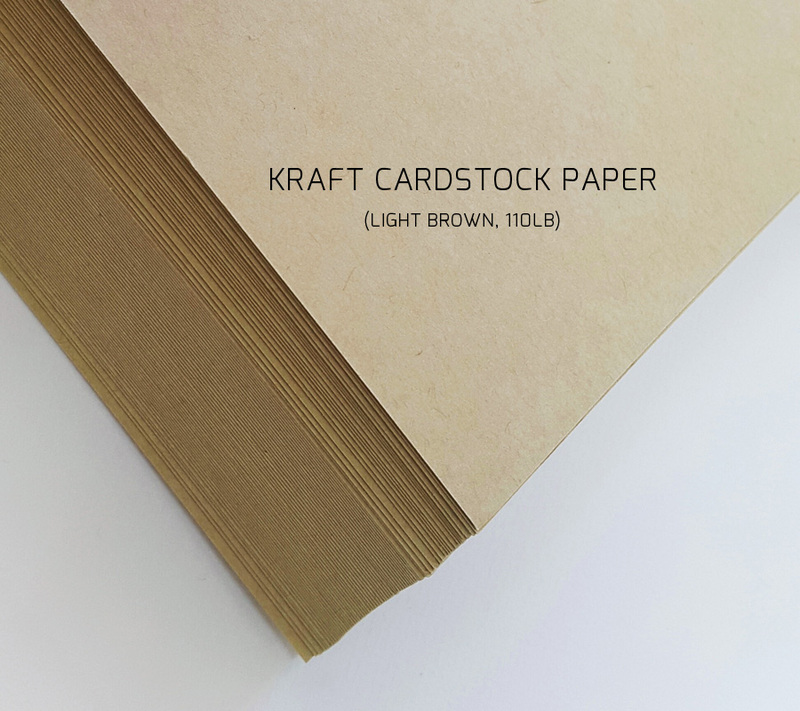 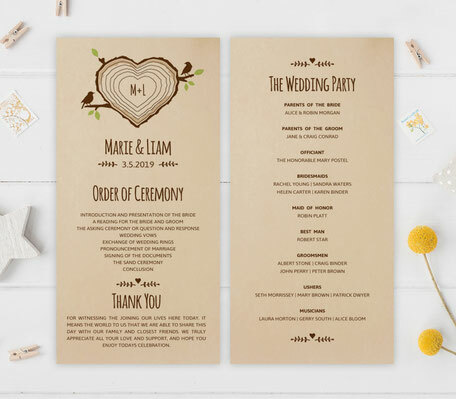 All of our rustic wedding programs are printed on kraft card stock.